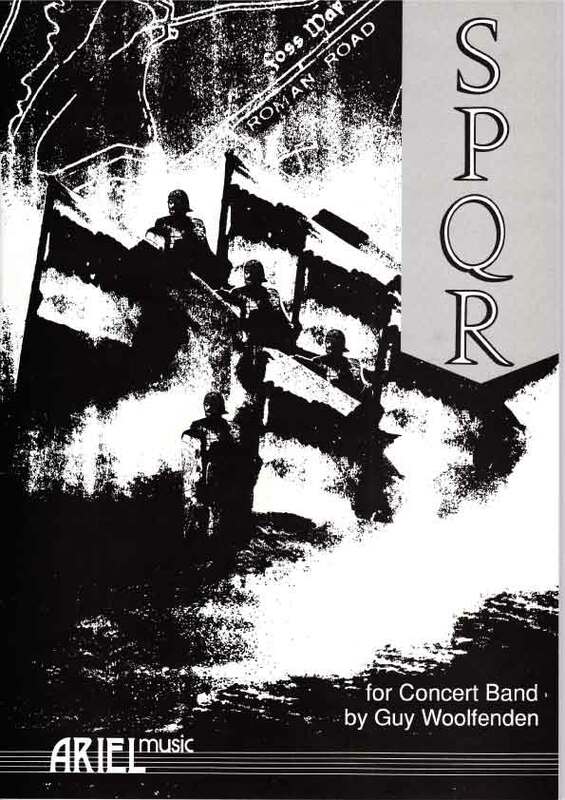 Sheet Music Shop S. P. Q. R.
S. P. Q. R. was commissioned as part of the Warwickshire County Council centenary celebrations in 1988 and my response was to delve even further back than a mere one hundred years, to encompass the Roman occupation of Britain, which lasted 350 years from AD 43. The standard of the Roman legions often carried the letters S. P. Q. R: Senatus Populusque Romanus – The Senate and People of Rome. Among the lasting monuments to this long occupation is the amazing system of roads, one of which, the Fosse Way, bisects the county of Warwickshire from south-west to north-east. Four of the major areas of modern Warwickshire: Stratford-upon-Avon, Warwick, Rugby, and Nuneaton and Bedworth, lie adjacent to this mighty thoroughfare. S. P. Q. R. attempts to juxtapose and contrast the ancient and indissoluble links between rural and urban Warwickshire and the might of ancient Rome. Thus the river Avon becomes a tributary of the Tiber and the Fosse Way joins the Via Appia: All roads lead to Rome! ..…full of imagery and colour. Great fun to play and enjoyable to listen to, with a gathered energy apparent throughout. Woolfenden creates textures and soundscapes that are identifiable to the layman and approachable for the serious musician.